Beautiful, well stocked apartment an easy 15 minute walk from city center. Comfortable beds and furniture. Nikki was easy to work with and helpful. Great pre-arrival communication & excellent customer service from Nikki. Well presented apartment. Spotless & well equipped. The location is good and the accommodation is cosy and comfortable. The furnishings are in good condition, cleanliness is fabulous and there is plenty of hot water on demand. The accommodation is near a Tesco Express within 300 metres. Takes 15 minutes to walk to Pulteney Bridge at a leisurely pace. The apartment is beautifully presented and the location is spot on. Superb accomodation. Well equipped and cosy. Home from home. Great location. very easy check in and check out, and flexibility allowing us the check in earlier and check out later because we have a baby. very much appreciated! very clean and very warm and comfortable. easy to walk into town and enjoy bath. Lovely old loft with great furnishings and homely feel. Location, parking, amenities. A real home from home. Amazing location, 10 min walk from city centre, but in a quiet and peaceful location with a great view over Bath. Beautiful interiors and super comfy apartment Parking (although quite small) is perfect and a big bonus in Bath when parking is always tricky Only a short walk away from the town and the lovely canal Really quiet! Lock in a great price for The Old Smithy Loft – rated 9.5 by recent guests! The Old Smithy Loft This rating is a reflection of how the property compares to the industry standard when it comes to price, facilities and services available. It's based on a self-evaluation by the property. Use this rating to help choose your stay! Located a 10-minute walk from the UNESCO Heritage Site of Bath Abbey, Jane Austen Center, and the historic Roman Baths, award-winning The Old Smithy Loft offers a large contemporary apartment with free Wi-Fi and free private parking. Guests will be staying in the stylish, modern apartment decorated in cream and sky blue. It features a large sitting/dining area with an Optiflame electric fireplace, a flat-screen TV with DVD player, and an iPod docking station. There is a modern fitted kitchen with dishwasher and microwave. The Old Smithy Loft apartment has 2 double bedrooms both featuring a TV and Egyptian cotton bed linen. The modern, white bathroom has a large, monsoon shower over bath, free toiletries, and a hairdryer. 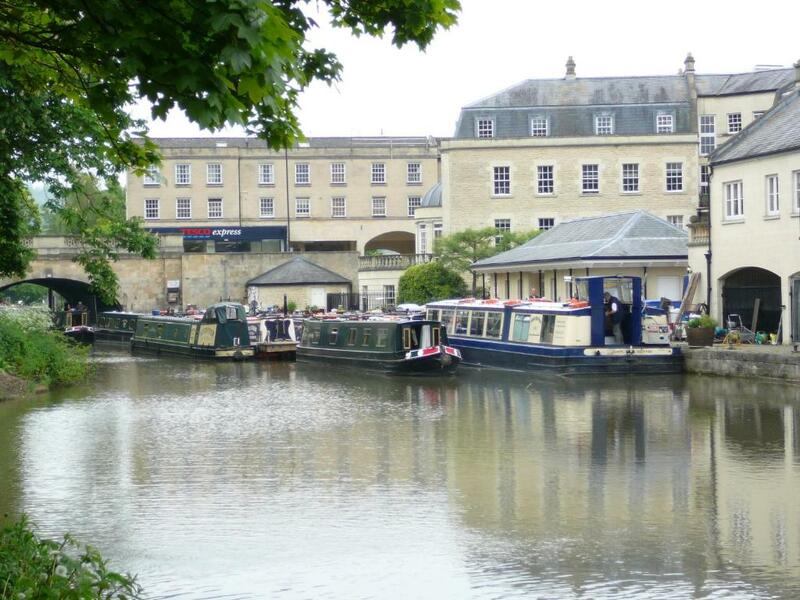 Set in the peaceful area of Sydney Wharf in the city of Bath and beside the Kennet and Avon Canal, The Old Smithy Loft is 5 minutes' drive from Bath Spa Rail Station. The M4 Motorway is less than 10 miles from the property. When would you like to stay at The Old Smithy Loft? This stylish apartment features free Wi-Fi, sky blue décor and modern fittings. The kitchen features a dishwasher and microwave and the open-plan lounge and dining room includes an Optiflame electric fire and a TV. Both bedrooms feature a TV and there is a bathroom with large bath/shower. The Old Smithy Loft, which neighbours the canal on Sydney Wharf, has long been our portfolio's most successful property. Its unbeatable location and free on-site private parking directly outside make it the favourite for all types of guests visiting Bath, whether for pleasure or business. Located on the first floor, above an architects office, it has two spacious bedrooms, a living area, kitchen and bathroom that are all finished to the highest of luxury standards. Guests often enjoy the array of recommendations and local information that is also available in the property, as well as the impressive kitchen facilities. I have lived in the Midford Valley near Bath for 45 years in Tucking Mill Manor. The city is a very pretty place with so many landmarks, attractions and places to dine out at in the evening. For a UK holiday, you'll really struggle to beat the attraction of Bath. My team and I run this small holiday business from our own home just outside Bath We own all the properties we let and that includes 3 cottages at Tucking Mill 12 mins Bath city centre and 2 luxury apartments in the city itself. We converted all the properties over the last 2-3 years to the standard that we enjoy when we are away. As a self catering operation, our strategy is to ensure our guests have as seamless communication as possible and only need to contact us if there is a problem.. We work hard to constantly upgrade our properties to ensure the Gold Standard is maintained and as close to home from home as possible. 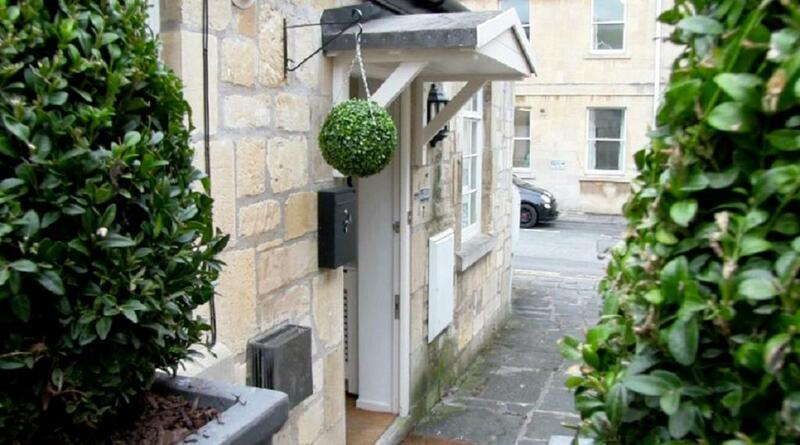 The Old Smithy Loft is just a few minutes walk from most of Bath's popular attractions, while being located down a quiet street so you're undisturbed from the commotion of city centre life. You can easily reach Sydney Gardens, the Holburne Museum, Bath Abbey and Pulteney Bridge in minutes by foot, or enjoy a luxury relaxation at the Thermae Spa in town. House Rules The Old Smithy Loft takes special requests – add in the next step! Debit card The Old Smithy Loft accepts these cards and reserves the right to temporarily hold an amount prior to arrival. The Old Smithy Loft accepts these cards and reserves the right to temporarily hold an amount prior to arrival. Please note that the property will contact guests prior to arrival to advise of the entry key codes. The comfort and ambiance was very welcome. Trains passing through at speed make a rattling noise and can awaken one earlier then wished for in the morning. Seagulls are another noisy pest near the property. Great location and very nicely decorated. Highly recommended. Decor and furnishings and an excellent location. Nothing ! If we had to be stupidly picky then Some information on the size of the parking space would be great. It was very tight and Our car is quite large and long and it was a bit of a squeeze to get in. Amazing to have a space and we could park off road but not quite open both doors or the boot when parked. We were also blocking the neighbours door but it appeared to be Unused, however it would have been useful to know if this was an issue or not as we worried about it for a short period after arrival. it was a home away from home. beautiful décor, very clean and a wonderful charming ambience. cant wait to go back. The living space was small although it was adequate for our needs. The place had a cosy feel for our winter visit with a pretend fire, nice furnishings and sherry & chocolates left for us. Very easy keycode entry so easy check in and no worries about carrying a key around all day. An easy walking distance into town for adults but would have been a bit far with young kids. Great location with parking, clean with great facilities. Walking distance to City centre.